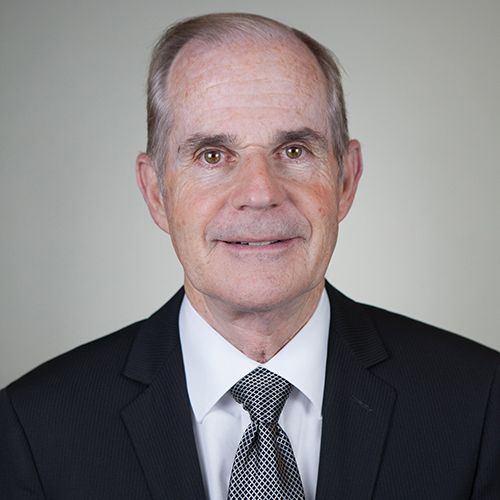 John F. Murtha is the managing shareholder at Woodburn and Wedge and practices in the areas of bankruptcy law (primarily representing creditors and trustees), business law and trial practice. Mr. Murtha has represented the largest creditors in numerous local bankruptcy cases and has an excellent reputation with members of the local bankruptcy bar, from whom he receives frequent referrals. Mr. Murtha is a member of the Washoe County Bar Association, the American Bar Association, the State Bar of Nevada, Phi Delta Phi, Order of the Coif, Rickert Scholar in 1980. He was also a member from 1978 to 1980 and Administrative Editor from 1979 to 1980 of the University of Illinois Law Forum. Mr. Murtha was a Sergeant in the United States Air Force from 1969 to 1973. Mr. Murtha is a member, board member and past-president of the Rotary Club of Reno-Central, a member and chairman of a Washoe County School District Curriculum Advisory Committee, and was a participant in the inaugural class of the Reno-Sparks Chamber of Commerce’s Leadership Reno Program. Mr. Murtha is the author of United States v. Arciniega-Separation of the Jury in Federal Criminal Cases Is Within the Sound Discretion of the Trial Court, U. of Ill. Law Forum 126 (1979). Mr. Murtha has attained a peer rated AV preeminent status (5.0 out of 5.0 maximum) through the Martindale Hubbell ratings system, has been included in the “Best Lawyers in America” for the last 13 years and in the “Mountain States Super Lawyers” publication. John Murtha is the recipient of the 2019 Lawyer of the Year Award for his work in Bankruptcy and Creditor Debtor Rights / Insolvency and Reorganization Law in Reno, and Litigation - Bankruptcy in Reno.